Don’t want to spend money on Office and Photoshop? Try these alternatives for free. In our day to day life, for our daily simplest work, from editing photos and videos to our office work we are depended on many expensive computer programs that not only make our work easy to do but also protect our systems from malware. But nowadays, in this world of technology, this expensive computer software is not only the option we have. 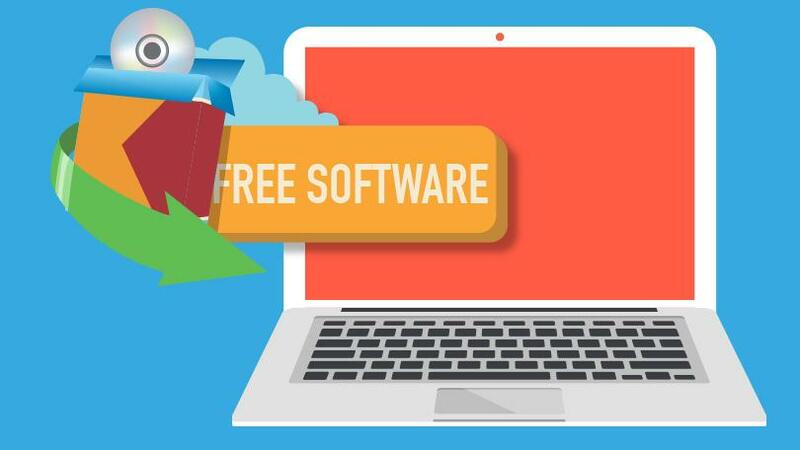 We can find many alternatives to these computer programs that can help you to complete your any computing task in the same way as the expensive computer program does plus they are open source and free. Although all free apps are not created equally having same or all the features, so they can’t provide you all the exposure that expensive one can give you but surely they can help you in much need. If you are looking for the alternative of Microsoft Office suite then LibreOffice is the best option we can have. It carries almost every feature that the Microsoft office have. 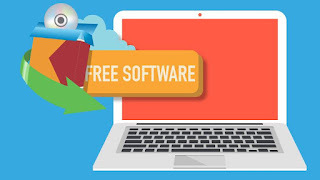 LibreOffice is totally free and open source office suite that can help you in your main six programs: comprising programs in word processing, creating and editing of spreadsheets, presentation slideshows, graphics designing like building diagrams, composing mathematical formulae. It is available for Windows, MacOS, Linux and the best part is, it is available in 110 languages. Also, each individual program has their own specialized feature which helps you to create and store your data more efficiently. You can download the LibreOffice from here. If you work on more than one device or you often need to collaborate with your colleagues for sharing files and data then Google Drive might be the best cloud-based office suite alternative to Microsoft Office. Cloud-based applications can be access from any browser of any computer system having an internet connection and you can easily access your files and also can easily share your files with other people from anywhere. It has tight integration with Google’s web service, Gmail. It includes the features like Docs for word processing, Spreadsheets, Presentation Slides. Well on the low side, Drive doesn’t provide the many features as Microsoft Office does. You may get fewer layout options and fewer transition effect features but professionally it provides you the best quality. As everything you do will be live, so you can make your changes instantly, you don’t need to save or need to take backup it will save for you automatically and let you see your files from any internet-connected computer, without any need to download an app. But if you want to work offline, you can access this limited edition app without any internet connection. Launch Google Drive from here. What a Photoshop can do wonders in photo & image editing we all are aware of that and if you need exactly something which can provide you the best-advanced features of Photo edition like PhotoShop then GIMP is the best photo editor you can go for. GIMP (GNU Image Manipulation Program) is a free image manipulation software program that allows your imagination to paint digitally. It has all the support available if you want to start from very basic and doesn’t need the advanced Photoshop features. Available for Microsoft Windows, macOS & Linux comes with the online GIMP tutorial which can let you help if you get stuck somewhere or want to learn how to get started. Also, they have extended plug-ins functionality like your browser extensions, which can lessen the burden of your repetitive tasks and can make your work easier. You can download GIMP from here. Audacity is a digital audio editor computer software recording application that can help you in recording audio from multiple sources, allows you to post-processing of all types of audio by adding effects such as normalization, trimming. It also allows the user to choose their preferred look & feel from user-selectable themes. Have features like recording and playing back sounds, multitrack mixing, audio spectrum analysis, adjusting audio pitch, noise reduction, vocal reduction and many more. It is a cross-platform free audio editor application available for Windows, macOS/OS X, UNIX, Linux, and BSD. Well, may be it can’t help you to provide you the best-enhanced quality of features that other advanced audio editor applications, like Adobe Audition or Hindenburg, can provide you. But this free audio editor app can surely give you a good start to let you experience your hands in audio editing before going for expensive ones. And if you are in a search of any free video editor application, then OpenShot is the best alternative solution. It is also a cross-platform, best video editor application available for windows, macOS, Linux having unlimited useful features that almost covers all the features that require editing a video and can give your video a good feel. It supports all the popular formats of audio, video and images that allow you to modify files from different sources. It has many features like trimming & arranging videos, unlimited video & audio tracks, 3D animated titles, and simulations. You can further use your creativity in your video by using watermarks, image overlays, and 3D effects. It also has a small tutorial as soon as you launch the app which can help you with the ropes to understand better. If you are an iPhone or Mac user then you can try iMovie as an alternative to OpenShot, which is only available for macOS, as a free video editor. iMovie is a best online video editor alternative for the apple users. It generally came with the Mac systems already installed but if in case it’s not present there on your machine you can download for free from the Mac store. Try Now: Download iMovie from here. Sometimes we need the access to another computer system from far location to help our friend in troubleshooting some technical problem or due to some our office work. And for this, there are many applications available that can help you in getting remote access to the systems but in return, they also charge some amount. That’s why Team Viewer is the best solution in that case. Team viewer is a free remote access application as long as you don’t need to use it for commercial purposes. When you launch the app on your system you will see your computer ID and a passcode that you have to share with the other one whose device you want to access. Also, you need their Team Viewer details to connect to the device so you can access the device remotely. It also offers you the paid version which provides the support for accessing multiple devices by multiple users. But in common, the free version will do just fine. Download Team Viewer from here.